James Parker reports on a call from TV architect George Clarke for a change in the way we build homes. TV architect George Clarke spoke at a recent event staged by Mitsubishi Electric looking at the urgent need to innovate in housebuilding to deliver good quality at the same time as the numbers. He was being typically sardonic when he told the audience “there’s no point building 300,000 crap houses,” but he was alluding to the serious risk of sacrificing quality in the drive to throw up as many homes as possible in a short space of time. He is calling for “systematic change on a number of levels” to fix the problems of the industry as currently configured when it comes to building sustainable, good quality mainstream housing. However squaring that with the “numbers game” that Clarke says the industry has now become is hard to do. Some will remember the rush of prefabs that went up across the UK following the Second World War to tackle the housing shortage. Strangely we have not had a global conflict recently but are in the same housing predicament, and similar methods are being envisioned. In fact, the Centre for Policy Studies recently revealed that the current decade, averaging 130,000 per year, will show the poorest levels of UK housebuilding since WW2, although things have speeded up somewhat recently. However prefab is now very, very different from that of the late 1940s, and is being seen as the great white hope to deliver the quality, fast construction, but in a much cleaner and more efficient way. As Clarke put it, we don’t build cars in fields, we build them in factories, so why do we build houses in fields? This is a massive challenge to mainstream housebuilding however, and arguably attacks their modus operandi to a prohibitive level for some. 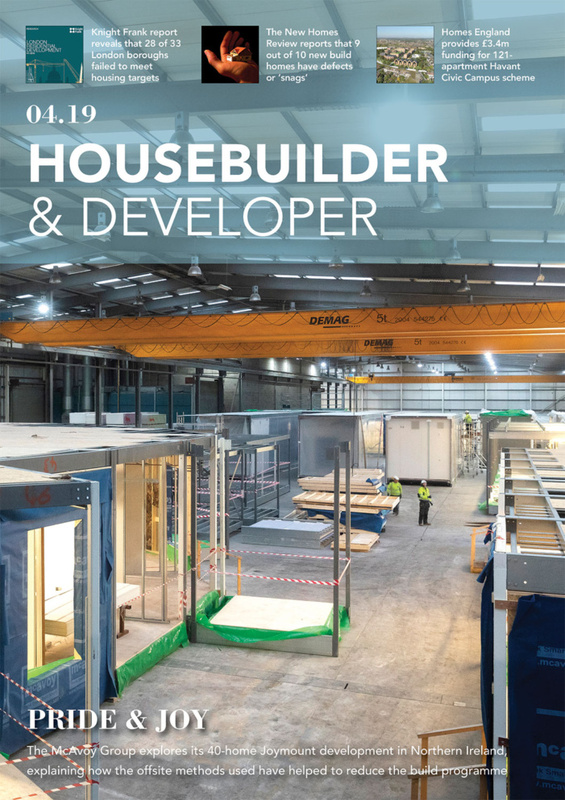 It also means problems for wet trades like plasterers, as Clarke says – there will be a need to reincorporate their skills at the factory level if modular housing truly goes mainstream. It’s about more than the method; Clarke for one proposes some fairly radical thinking, e.g. the Building Regs changed so that everyone has an air source heat pump and triple glazing as standard. That isn’t going to happen. However his idea that housebuilders can and should invest more in R&D (as some already are) to feed in much more innovative ideas on the best solutions for energy efficient, healthy and aesthetically appropriate housing, is perhaps more realistic. As he also alludes, something needs to be done to subsidise greener developments for example to offset land cost, and subsequently admits everyone in the industry needs to buy into new standards to put downward pressure on prices. Mitsubishi wants to be ‘disruptors’ in this market, and I think that in the construction context this is more than just a buzz word, it speaks to how conservative mainstream housebuilding is – that such energy efficiency-led intervention and thinking is in fact ‘disruptive’. 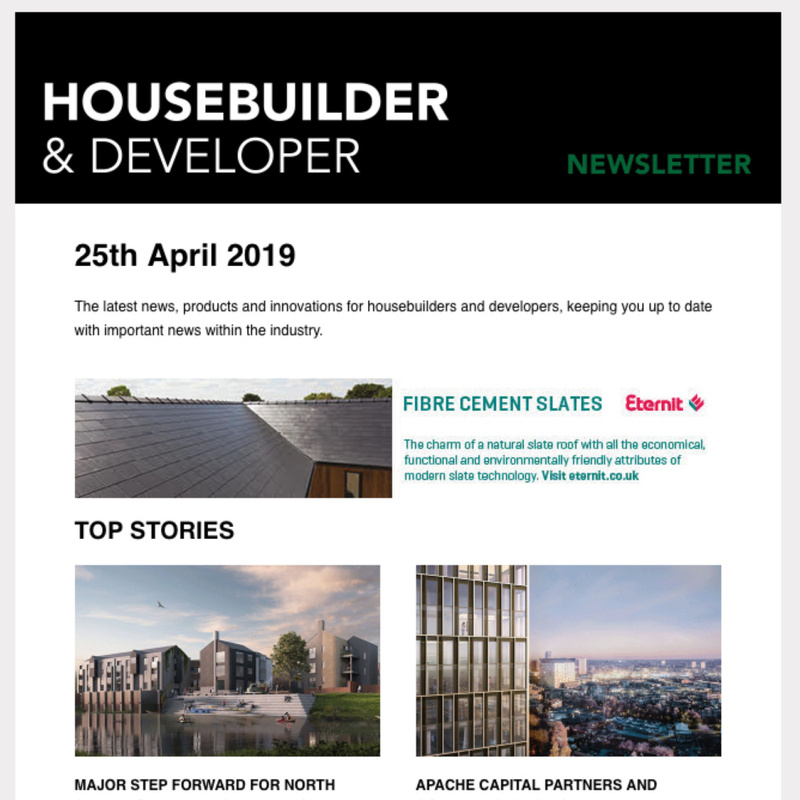 Any suggestion that housebuilders have to do things that will cost them extra will be met with raised eyebrows, if customers haven’t expressly demanded it. Somehow the traction has to be generated for more expensive, good quality, probably modular, housing across the market, perhaps in the same way many people will now invest in good quality hybrid cars. The financing packages they are offered for cars of course help to make this a reality, whether the long-term affordability is correctly calculated or not. Maybe, with the technology and nous available already in the construction industry, this financial support is where the really innovative thinking is going to be needed. The new National Planning Policy Framework pushes higher densities, but also a greater focus on quality. The Government has made much more noise about SME builders being able to leverage small sites in order to be able to build with the quality that they are good at. However last autumn, the FMB reported that two thirds of them are still struggling with a lack of small sites. While the Government has a few things on its mind at the moment, for the future of the nation’s and the industry’s wellbeing, a drive to unlock these problems needs to be next on the list.